The Outwell Camper range of polycotton sleeping bags is a firm favourite with discerning family campers and enjoys a sparkling update in outer and lining colours and patterns. Performance, comfort, style and design flair are assured by an impressive combination of materials, smart colours and a neat stitching pattern. With a super-soft, smartly-patterned cotton lining for a luxury next-to-skin feel, cosy comfort is assured by the isofill insulation and polycotton outers. 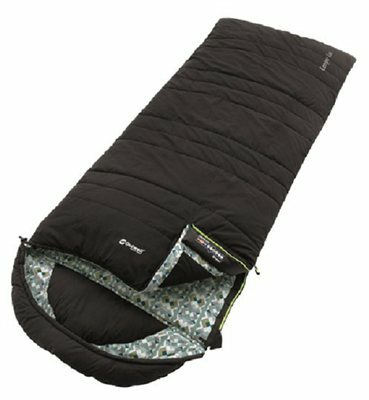 All Camper models feature a zip off hood, inside pocket and built in pillow. The Camper Lux 3-4 season bag is just as comfy as the Camper but comes with extra filling, so it’s warm enough to use from early spring to late autumn. Comes with 1700mg Isofill.